Most people vastly underestimate the amount they need to stash away for their golden years. The problem comes from the fact that many financial planners will tell you to put between 10 and 15 percent of your income toward retirement. However, that assumes you started saving in your 20s. Simply put, any kind of match that your employer gives you is free money, and it would be silly not to take advantage of every cent. The average match out there is 3 percent of your pay, although companies can vary greatly on what they offer. This means that if you only put in 2 percent of your salary, you are leaving 0.7 percent of your income on the table. It may not seem like a lot, but that can really add up over time. Most 401(k) plans have something called a "target date" that is used to figure out what your retirement portfolio will look like. If you have 30 years to go until retirement, you will almost certainly want at least a moderately aggressive portfolio. This will be comprised primarily of stocks, which offer higher gains, but are more volatile and can lose their value quickly. However, the stock market will always recover over time, and if you have that time to spare, this is the plan you should use. A coffee here. A magazine there. Eating out every week. These small expenditures really add up, and instead of saving the money you'll need to survive after you stop working, these frivolous buys are burning holes in your pocket. It seems unfair that we pay into the system all our working lives, and when it comes time to retire, we get very little back. But, that is simply the result of a population that is living longer, yet retiring at the same age of 65. There just isn't enough money in Social Security to totally support you unless you have almost everything completely bought and paid for by the time you retire, and even then, it will be tough going. Right now, benefits for retired workers average around $1,374 per month, or just over $16,400 annually. When you consider that the federal poverty line is currently $12,060 for a one-person household, that's a little too close for comfort. It's so tempting to dig into the equity in our homes, especially when the housing market is strong and interest rates are so low. But, every time you refinance your home to take out money, and start another 30-year mortgage, you are seriously impacting the quality of your retirement. Ideally, by the time you retire, you'll want that home to be paid for; no mortgage left, only taxes and maintenance. But if you are 40 years old and just did a 30-year refinance to take out some cash, you've ensured you'll be paying that mortgage until you hit 70. Not only that, but every time you do a cash-out refi, you're spending money on fees. 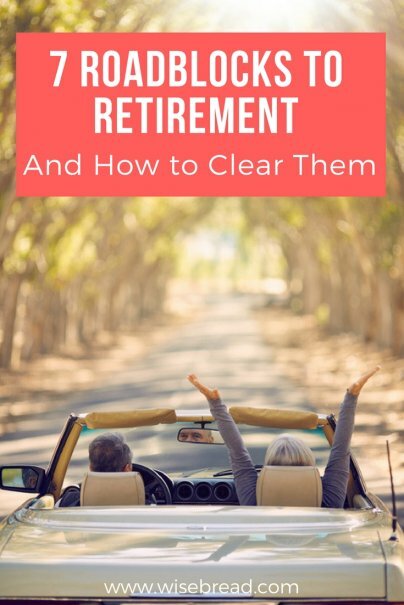 When people start tucking away money for retirement, they don't really consider the lump sum they are going to need when they eventually stop working. And ask any average Joe if they will be a millionaire one day, and they will laugh at you and say something like, "Yeah, right!" But, everyone should be doing what they can to become a millionaire in retirement. While it may not be possible to hit that figure exactly, you should still aim as high as you can.